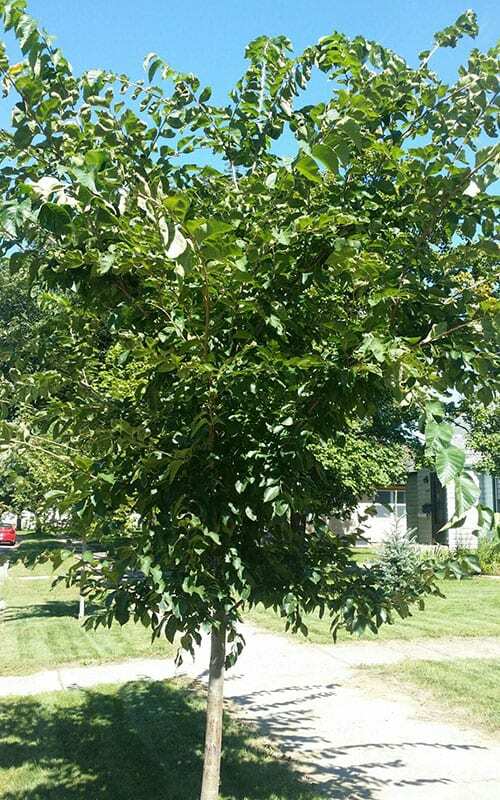 This tree can attain very large proportions, but usually grows 40′-60′ in height and 1′-1½’ in diameter. When grown in the open, it develops a short bole and a large rounded crown. It has simple, elm-like leaves and can be identified by its many corky warts and ridges of bark on the trunk. It produces fruit in the form of ½”-1″ purple drupes.